Sift all of the dry ingredients together into a mixing bowl. Combine the carrots and raisins. Combine the egg, milk and the melted butter and mix. Add the carrots and raisins to the eggs, milk and butter. Add the wet ingredients to the dry ingredients and mix just enough to incorporate all of the ingredients. Spoon into the buttered muffin tins and top with extra sugar if desired. Bake 15 – 20 minutes or until slightly golden or the toothpick test comes out clean. 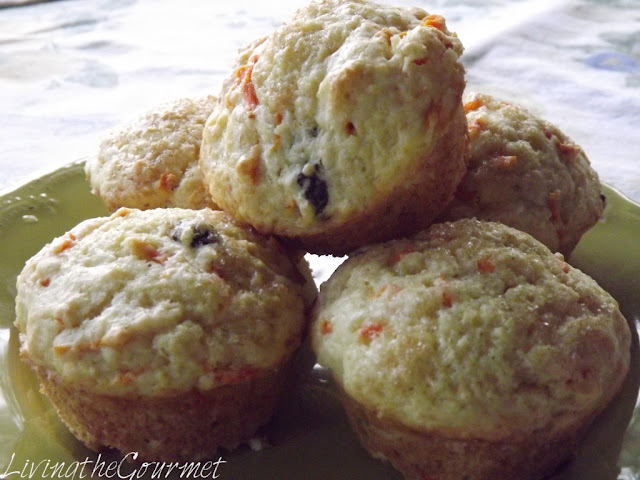 These are perfect for breakfast with a little butter and a good cup of coffee!